Every year after the holidays are over I think that life will slow down. But that didn't happen in January, and February is turning out to be just as busy. And though at the age of 57, I am in good health, I'm finding I need to take more occasional 'me moments' to feel my best. Sometimes those moments include a good book, a quick yoga session, or listening to music. Or they can include a yummy snack, like ice cream. But I don't need all those calories from ice cream, so I'm very happy that I recently found a new yogurt at Walmart that is a great alternative. 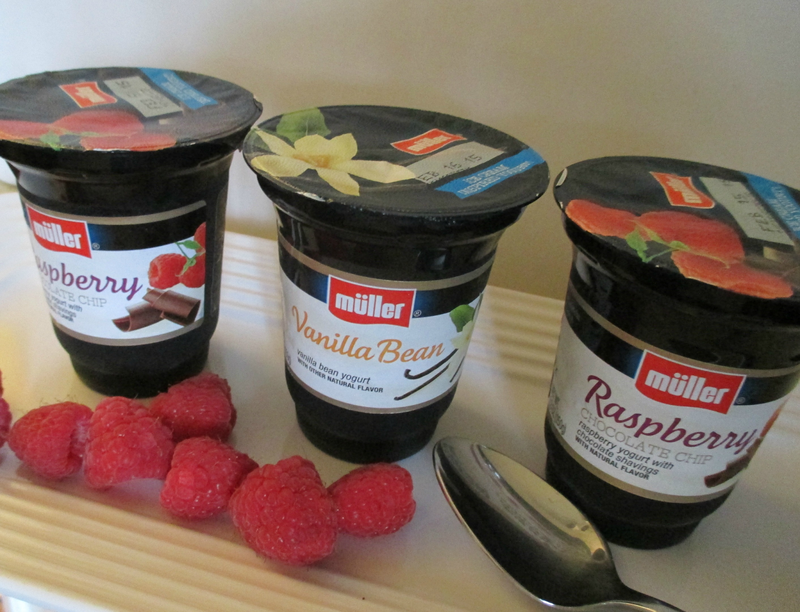 Müller® Ice Cream Inspired Yogurt is a great snack or breakfast option. 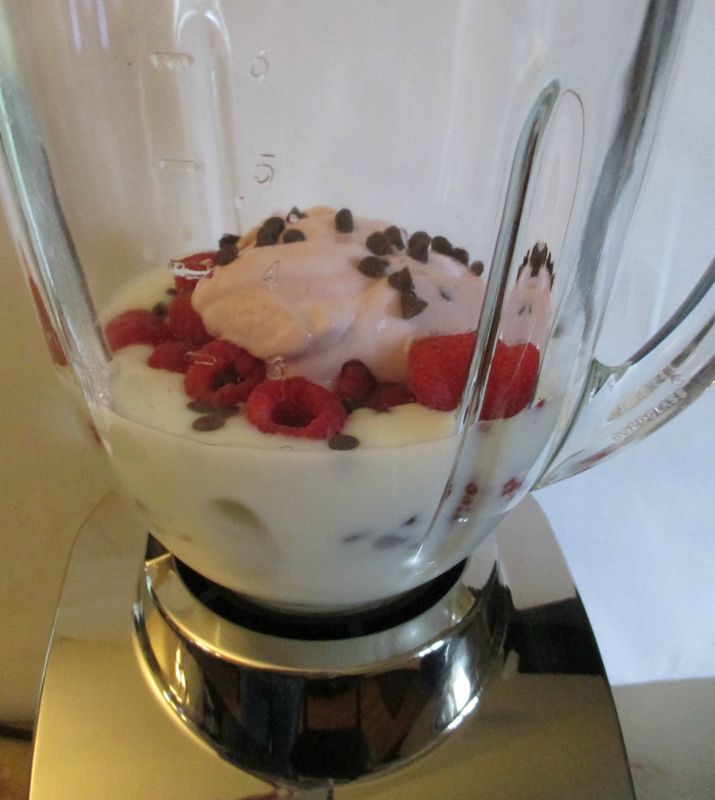 Or you can use it to make simple and delicious recipes like my Chocolate Raspberry Shake. With just a few ingredients, this shake has become my favorite way to indulge in a delicious but better for me treat. Müller® Ice Cream Inspired Yogurt comes in different flavors, including my favorite Raspberry Chocolate Chip, Vanilla Bean, and Mint Chocolate Chip. sugar than other yogurts and only 190-210 calories. I eat lots of fruits, and raspberries, strawberries, and blueberries are always in our refrigerator. They are great on their own, but I really like making shakes and smoothies with them. 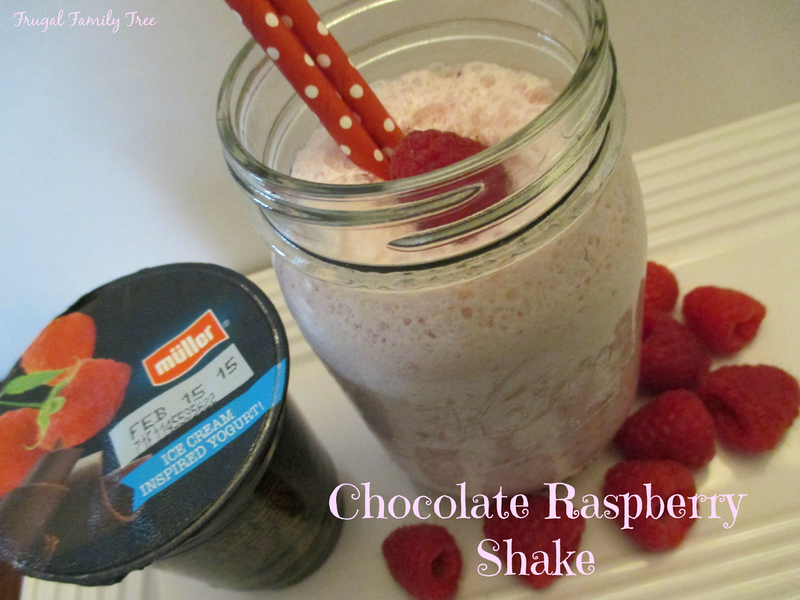 So when I saw this Raspberry Chocolate Chip flavor, I knew it would make a super good shake. 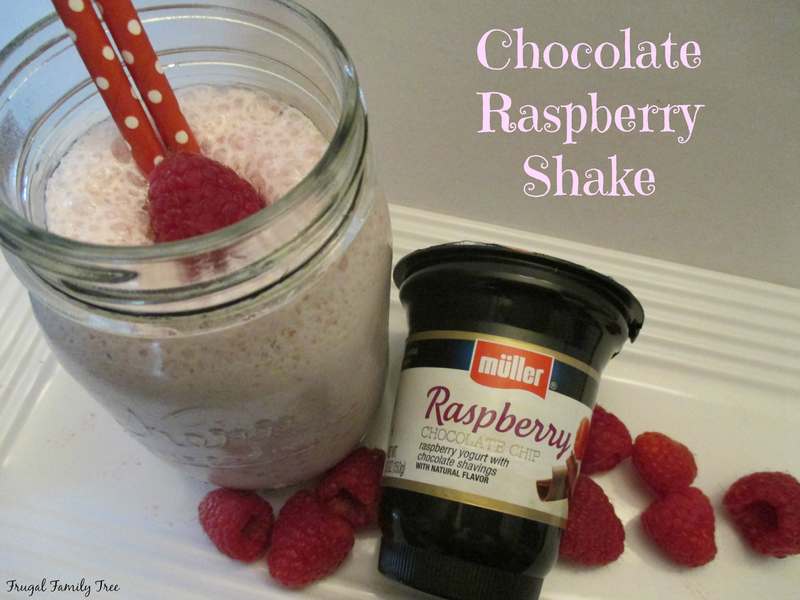 All you need is some fresh raspberries, or frozen if you don't have fresh, milk, ice, a handful of chocolate chips, and a container of this yummy flavor. It's so easy to just toss everything in the blender to make this. I've had this shake for breakfast the last few days, and it really makes me feel so much better than some of my other breakfast choices. I enjoy taking some quiet time in the morning to have my Chocolate Raspberry Shake before the day begins. I'm finding that this time that is all mine, can set the tone for a day that is much calmer and happier. 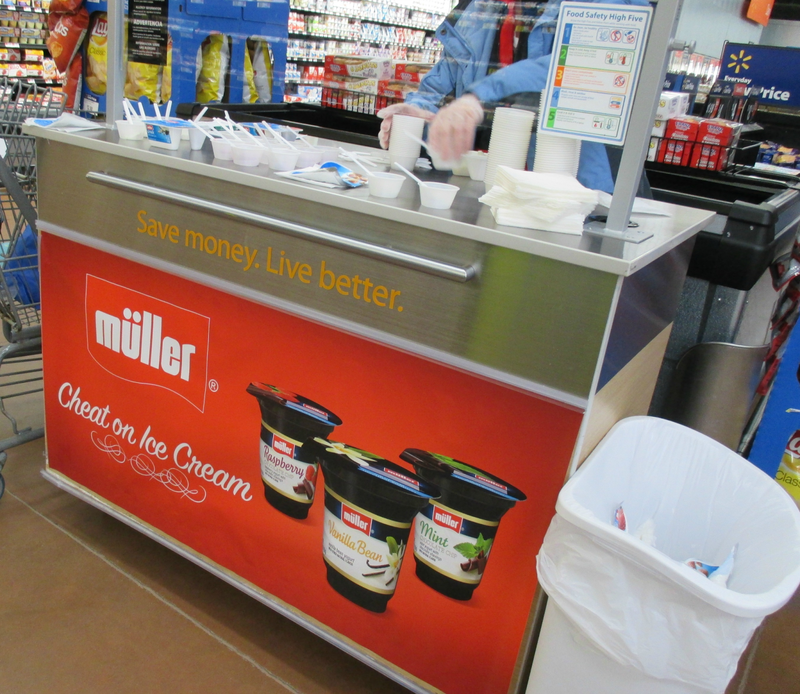 Last weekend I attended a demo for Müller® Ice Cream Inspired Yogurt at Walmart. Do you love demos like I do? I love tasting new products and I've found some of my favorites by sampling them first at a demo. Love Muller? Visit http://www.mullerquaker.com/ to sign up on for their mailing list and receive the latest news and offers. As a thank you, you'll also get a coupon to use toward your next purchase! You can find this great tasting new ice cream inspired yogurt at a Walmart near you. Just look for it in the yogurt aisle. And check out other Müller yogurt varieties now available on Rollback at Walmart for $.88 until March. Place all the ingredients into a blender, and blend until desired consistency. So do you have a favorite way to enjoy your own special 'me moment'? Please leave me a comment, I'd really enjoy reading about yours.